Camila Cabello had her life all planned out. She'd work hard in college and try to avoid any compromising situations. She had a great boyfriend and she was doing well in her classes. Life was great until Camila met her new roommate, Lauren Jauregui and her world changed. It was her first day at a new school. Camila was a shy, soft spoken girl. She didn't have many friends at her old school. And yet, on her first day, she felt drawn to a girl named Lauren. She didn't know why but she felt something for the girl, even though she didn't know what that was. Does Lauren feel the same? Will they be just friends? Or perhaps, something more? Two girls met at an empty alley, outside of a club and a connection was made between the two. They barely know each other and yet, they spend the entire night with each other. And that was all they had. Captain of the cheer team. Most popular girl in school. A total flirt with everyone, but in the closet gay. Only her best friends know about that small little secret. Her best friend's Ally Brooke, who's her cousin, and Normani, who she's known since freshman year. She's not so popular, but well known. Her best friends are Dinah, Normani, and Ally. Everyone knows she's gay, but she doesn't exactly announce it to people. What will happen when their mutual friends Make Lauren throw a party? 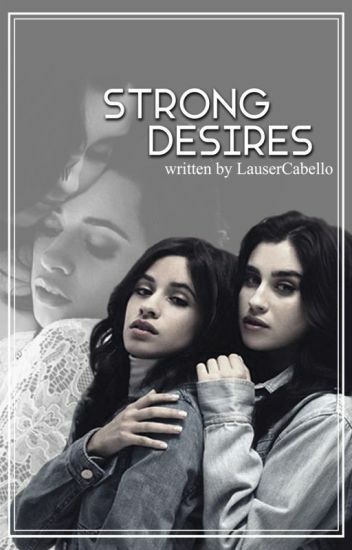 What will happen when Lauren is forced to invite Camila to the party by herself?Will Lauren get the girl, or will Camila look right past her? Will they be like the typical love story? Lauren Jauregui is a 17 year old juvenile who has never known what it's like to feel loved or cared about. When she gets fostered by the Cabello family she meets a girl named Camila who changes her path, alters her emotions, and shows her even people who've been through the worst can still feel safe and loved. Lauren Jauregui is Coastal Miami High's varsity girls basketball captain. She is a straight-A student who has a knack for music and art. Laurens out and proud and she has girls all over her, but she rarely notices them. You see Lauren has had a crush on this girl since middle school and since then she hasn't seen anyone else in the same light. Camila Cabello is Miss Popular and Cheer captain. She's not afraid to be who she is, which happens to be a clumsy nerd, but she is however afraid to admit her sexuality. Camila's cheer at practice goes all wrong and she comes toppling to the ground, only to be saved by a certain green eyed girl who made her question her sexuality in the first place. It's probably not a good idea to have a sleepover with the girl you're crushing on. Camila Cabello starts off her senior year of high school with a new teacher.